Tattoo removal Pune is carried out by directing the laser at the inked area. Q-switched lasers that deliver a high intensity pulsed beam to the inked area are the commonly used lasers in this treatment. During this procedure the ink is damaged by the pulses from the laser and can then be disposed of by the lymphatic system of the body. 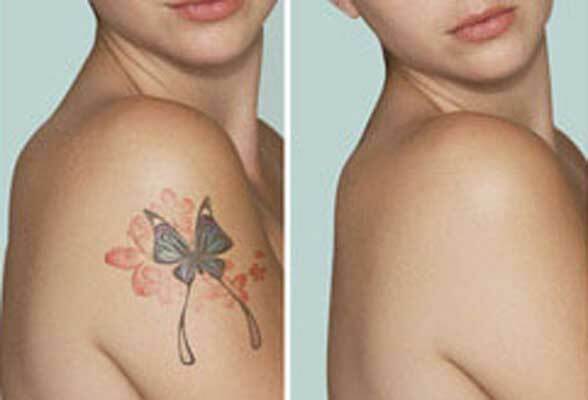 The actual removal of a tattoo with the help of a laser treatment takes less time than getting a tattoo and it starts fading with the initial treatment. This procedure cannot be completed in just one sitting as the body’s natural drainage and waste processes must be given time to act on the ink. One might need to space out the treatment in 5 to 8 weeks. Both professional and amateur tattoos can be removed. Nearly all colours can be effectively removed in as little as 3 to 4 sessions or in as many as 9 to 11 depending on the method by which the tattoo was placed, the types of dyes used, and the length of time the tattoo has been present. For as many reasons as people get tattoos, there are the same number of reasons why people want them removed. At Skin and Surgery International, we can help. Thanks to specialized, laser technology, we can safely fade your tattoos so there is little or no trace left. We can apply the same technology to remove birthmarks and other undesired skin pigmentation. In most cases, the laser can remove up to 90 percent of the tattoo. It is important to remember that the ultimate result will depend on many factors such as the type of dye or ink used, how old the tattoo is, location, skin type and if there is any scarring from previous removal attempts. The laser that we use is effective on all colours, taking into consideration the factors mentioned above. Dyes and hyper-pigmentation absorb the laser light and begin to breakdown. They are then absorbed by the body. Yes. The laser we use is specifically designed for treating tattoos and hyper-pigmentation. It is a homogenous beam, meaning there are not hot spots and adverse affects are minimal. Unlike other techniques, laser tattoo removal treats without causing purpura, and the risk of scarring or changes in skin texture is greatly reduced. Is the procedure of tattoo removal painful? Most people compare the laser to the feeling of having a rubber band snapped very gently on your skin. However, for sensitive areas, we can apply a topical anaesthetic. What is my skin like after a removal treatment and what should I do? You may experience some temporary reddening and crusting of the treated area and there may be some lightening or darkening of the skin for some days afterwards. Typically, your skin will return to normal, minus the tattoo, of course. Immediately after a treatment, you can apply an ice pack or a topical anaesthetic. Between visits, avoid scrubbing the area and you may want to cover it lightly with a bandage. How long treatments are and how many will I need? Depending on the size of the tattoo, treatments range from 5 to 30 minutes. Most people will need multiple treatments for the best possible outcome. Contact our office for a consultation so can give you more detailed information on what you will need.